St Alban was a Romano-British inhabitant of Verulamium, the Roman city which stood below modern day St Albans. The earliest versions of his history say that he gave shelter to a stranger fleeing from anti-Christian persecutions – a priest, originally unnamed but later called “Amphibalus” in the re-telling of the story. Alban was so moved by the priest’s great faith and courage that he converted to Christianity, then still a forbidden religion. ‘I am called Alban and I worship and adore the true and living God, who created all things’. In our society, martyrdom, the very thing that Alban suffered, has become a loaded word in our society – maybe even a dirty word for some – something hijacked by, and mostly associated with, extremists, and a concept often misunderstood. However, the true nature of martyrdom is something inherently linked to the Christian faith – and we only have to look at our readings to see this. Martyrdom is a daily reality for the Church – maybe not in this country and not in Europe, but certainly so in North Africa, and in the Middle and Far East. In these places Christian brothers and sisters are actively persecuted, tortured, and killed because of the faith; many are still put to death like Zachariah the priest for speaking the word of God. Martyrdom comes from the Greek word “marturia” which simply means testimony, bearing witness, and in their ultimate sacrifice the martyrs do bear witness to God by refusing to desert him; through their actions they give expression to the three virtues of faith, hope, and charity in the ultimate possible way. Out of faith, the martyrs put their trust in God, speaking his truth, regardless of the consequences, regardless of the fear which threats and persecution may instil in them. Out of hope, the martyrs look to God, not to the grave, as their final goal; they strive to reach that crown of glory the Lord has promised to those who follow him to the end. In the midst of their trials and pains they look towards that peaceful city where violence will be no more – the heavenly Jerusalem. Out of charity, that is, out of perfect love, the martyrs forfeit their own lives rather than abandon the Lord and his Church, whom they love above of else. Out of love they lay down their lives – knowing that their selflessness may protect others, and that their blood will be the seed of more Christians. Out of love they bless their persecutors; they pray for those who harm them; they absorb their violence in their bodies as Jesus did on the Cross – who for us accepted the violence of his aggressors and repaid it with forgiveness. This is the nature of martyrdom, and this is what St Alban endured. 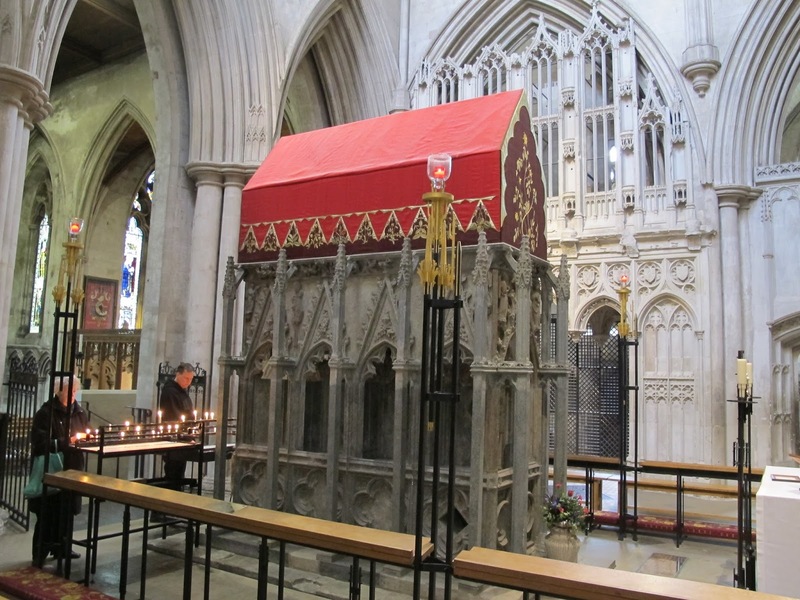 For us, gathered here about seventeen hundred years after his death, St Alban is a model of Christian faith and courage, a reminder that love and self-sacrifice, not hate and retaliation, are the only viable Christian responses whenever we encounter violence, threats, and persecutions. May we then strive to imitate St Alban in his faith, in his hope, and in his selfless love. 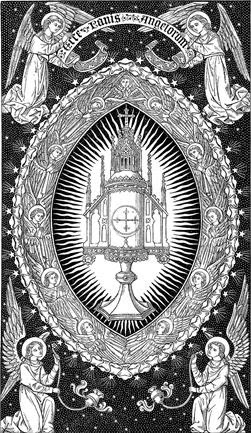 This Sunday should have been the Twelfth in Ordinary Time (or the Fourth after Trinity in Common Worship calendar). However, this is also the Sunday closest to Saint Alban’s Day, therefore the liturgy team and myself have decided to keep the Feast of St Alban today. 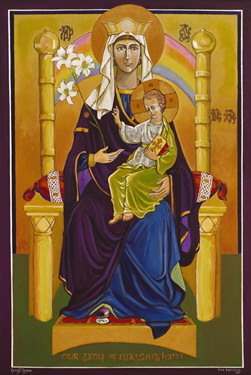 The pastoral rationale behind this decision is twofold, first to get more people celebrating the first martyr of Britain and patron of our diocese; and secondly – and also more importantly – to renew and to foster the Church’s love for her martyrs at a time when Christian discipleship initiatives often seem a little bland, and the struggles of our persecuted brothers and sisters around the world is often ignored.